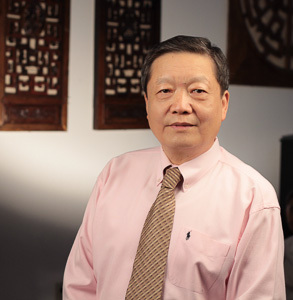 Dr. Andrew Qi Wu (Ph.D, L.Ac) has over 45 years of clinical and academic experience in Traditional Chinese Medicine (TCM), and is recognized as one of the top TCM doctors in his profession. Dr. Wu started his career in 1967 as a disciple of renowned TCM doctors, and later graduated top of his class from the Tianjin TCM College in 1982. After graduation, Dr. Wu joined the faculty of Tianjin TCM College and practiced at its affiliated teaching hospital. In 1988 Dr. Wu became the visiting professor for the TCM college in San Francisco. In 1993 Dr. Wu founded the Alliance of World Traditional Medicine. In 1998, Dr. Wu was appointed Adjunct Professor by the Tianjin TCM College, and was awarded a Ph.D. in Oriental Medicine in 2001. He currently serves as Vice President of Five Branches University in San Jose, CA. Dr. Andrew Wu has been practicing in the San Francisco Bay Area since 1989. He frequently lectures and makes media appearances both locally and internationally.